Skydance has a long history in exploration. Whether it be a simple survey flight, or a multiple month project, Skydance can take it on. Skydance works in compliance with the strict standards set forth by the OGP (Oil and Gas Producers). Skydance’s proven safety record and team of professionals are able to satisfy the most demanding of clients. 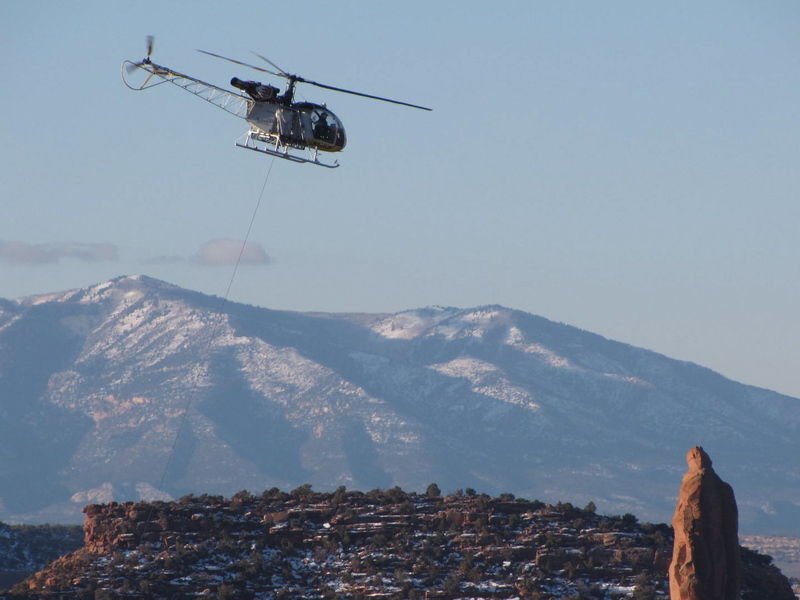 Skydance is a leader in heli-portable drilling operations. Working closely with Xtreme Drilling, (Denver, Colorado), in the sub-zero temperatures of North Dakota to help discover the Bakken oil reserve, to the high mountain regions of Wyoming and Utah, Our team of expert pilots and mechanics maintain a safe operation while executing some of the most demanding and challenging work in the helicopter industry. Skydance and Xtreme Drilling were featured in “VERTICAL MAGAZINE” for their outstanding work in the field. Geology companies across the U.S. have employed our services to help with survey projects and mapping. Recently, Skydance worked with a local mining company on a Magnetometer survey northern Nevada.